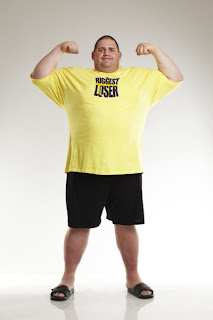 Learned recently (but did not tune in to the premiere) that Olympic wrestling champion Rulon Gardner is competing on the current season of "The Biggest Loser," seeking to regain his Olympian physique after a few years of snacking sans exercise. I found it interesting his inspiration to join the show originated in Oklahoma, according to this USA Today article. It's also interesting to me that reality shows keep tapping Olympians as contestants. Gardner on "The Biggest Loser," Shawn Johnson on "Dancing With The Stars." Jonny Mosely on "Skating With The Stars." There are bound to be others. Just wondering the extent to which the Olympic star-status serves as an inspiration for reality TV viewers versus turning the Olympians into sideshows. It's great that the shows provide the Olympians with a post-athletic career source of income or building their brand. But at what cost to their elite (or recent/former elite) status?